This is an exciting treatment and the back story on how it got started is also very interesting. Google "NOAH Protocol" for details! M.D. Anderson Children's Cancer Center is expected to begin enrolling eligible patients soon in a new clinical trial of treatment for pediatric brain cancer. 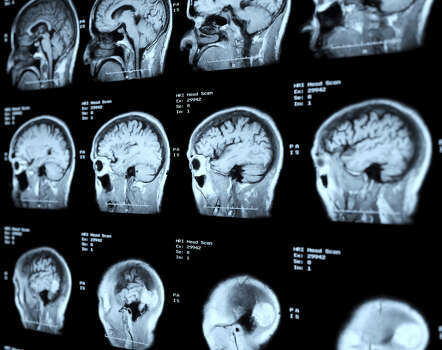 MD.. Anderson Children's Cancer Center is expected to begin enrolling eligible patients soon in a new clinical trial of treatment for pediatric brain cancer, an advocacy group has announced. The Noah's Light Foundation on Tuesday announced the FDA's approval of the investigative treatment for several types of pediatric brain cancer. The treatment is known as the NOAH Protocol, which stands for "New opportunity advancing hope" and consists of a blood draw to obtain "natural killer" cells in the patient's white blood cells. These cells are "educated" in the lab to hunt for brain tumors and then are inserted directly into the brain's diseased area, according to a news release from Noah's Light Foundation. A new surgical procedure developed by Dr. David Sandberg, M.D. Anderson's director of pediatric neurosurgery, is used to insert the cells into the brain. Sandberg is also director of pediatric neurosurgery at Children's Memorial Hermann Hospital and Memorial Hermann Mischer Neuroscience Institute at the Texas Medical Center. Participants in the Phase I clinical trial are to be selected by the end of the year, the news release said. The types of cancer eligible for treatment are highly malignant tumors of the brain's fourth ventricle, including medulloblastoma, atypical teratoid/rhabdoid tumors and ependymoma. Based in Florida, the nonprofit Noah's Light Foundation was established in 2010 by Amber Larkin, whose son Noah was undergoing treatment at the University of Texas M.D. Anderson Cancer Center. Noah Larkin died in 2012 at age 8 from medulloblastoma. The group's mission, according to its website, is to support visionary doctors who are creative, out-of-the-box thinkers.